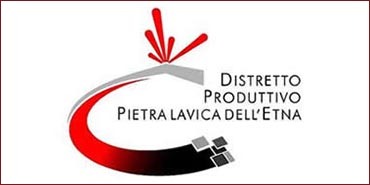 Etna’s Lava Stone District, whose Fratelli Lizzio srl is part of, carries out actions in order to promote Etna’s basalt stone commercially and institutionally. Numerous initiatives have been taken to create awareness amongst corporations that deal with the territory, researching for new partners to implement environment-friendly practices. Developing and managing such institutional relations, allows to the District to plan the partners’ activities, in order to render them suitable to the sites where extractions take place. To this end, the District’s authorities are engaged to implement the “Sicilian Regional Plan for quarry materials and quality commemorative stones” regulations, operating in such way to reach the objectives of environmental sustainability of the quarries. Furthermore, thanks to specific bodies and the proper partners, a constant supervision of the territory is determined, in order to carry out a serious battle against abusers that disfigure the territory and discredit the precious stone division. Etna Lava Stone is a great resource with considerable employment opportunities. By occupying hundreds of people, it constitutes a primary importance sector for the economy of our territory. The main objectives of the District are to join all interested parties and give them a better understanding of the importance of the Etna Quarries, examine the various requests for authorization renewal, and unblock in such way a sector, which would otherwise be in recession. Therefore, there is a need to manage the labor specialized in lava extraction and lava commercialization, in order to create a synergy with the involved corporations, spread success to the sector, and diffuse environmental culture amongst producers, taking into consideration that, even though a Quarry belongs to one particular company or to a duty operator, it will always be part of a landscape that belongs to the heritage of all.